DCI drum majors are chosen for their positions based primarily on their leadership and character, not on their ability to conduct. But, that is not to say that conducting isn't important. 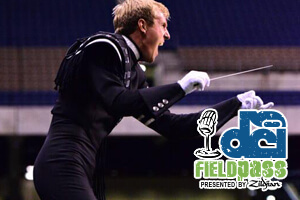 In today's Field Pass presented by Zildjian, DCI's Dan Potter talks with a performer who has taken the skill of conducting a drum corps to a new level this year: Phantom Regiment's Dean Patterson.